Hello to the world out there. This blog is also for you, to follow us, see if you like us and maybe join us. We had our annual quiz night last Wednesday. 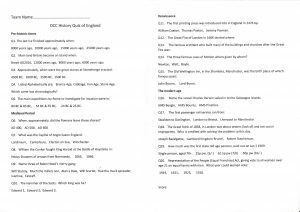 It was a mix of fun and a lot of “oh I know that one!” “I do, I do; it’s…. er, er….. hmm, next question”. Subjects this year were, General Knowledge, Photography, History, Art and Film clips. The quiz sheets were gathered in too late to announce the wining team on the night so this will be done next Wednesday, during our Fish n Chip supper evening. It don’t get much better! How would you have done. 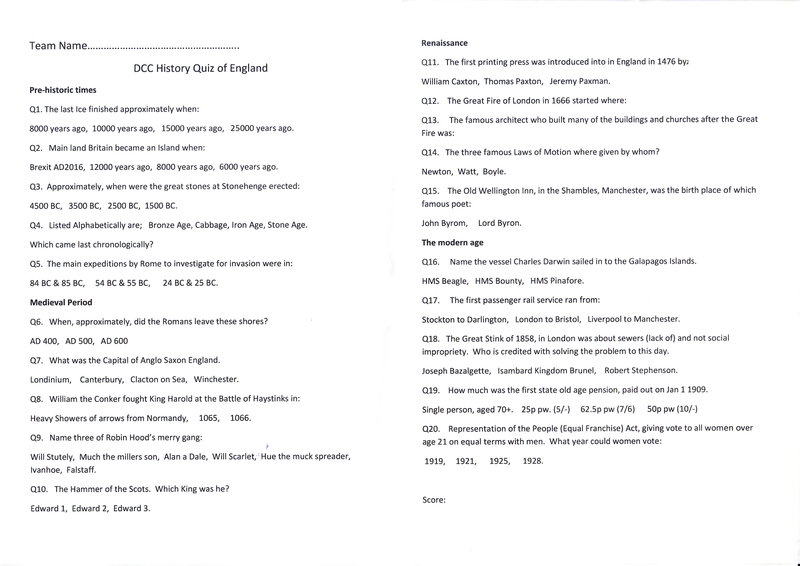 Here is the History quiz. Have a go.